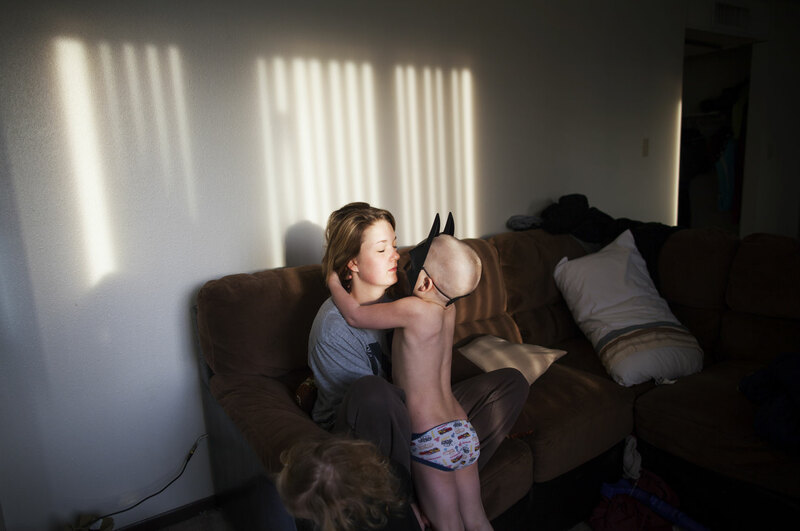 Maggie and Kayden, four, share a moment in the apartment they share with Maggie's husband. Over three months after the assault, Maggie has moved her family to Anchorage, Alaska to try to repair her marriage and give the children a chance to be closer to their father. Maggie and her husband met at 14, when he invited her to a rodeo for their first date. She said they'd been on and off since eighth grade, and always seem to find their way back to one another.